As we embark on the new year and new term, the DEC would like to briefly reflect on the 2016 design education events. 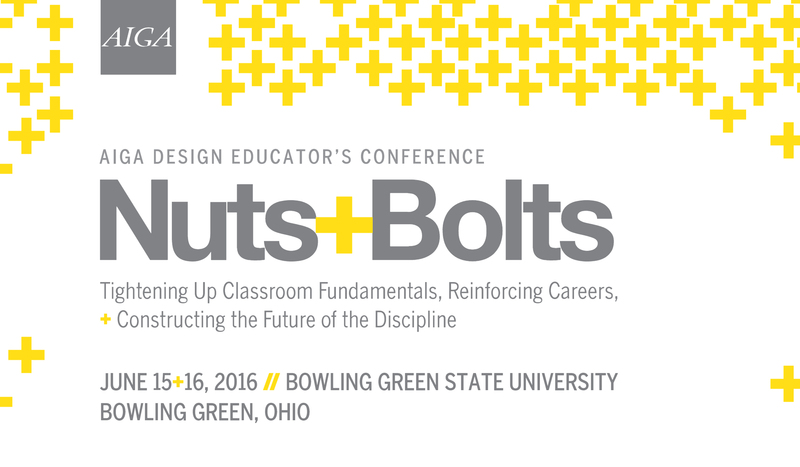 It was a strong year for design education programming with two stand-alone conferences: Nuts + Bolts (Bowling Green State University, June 2016) and Frontier (Montana State University, October 2016). 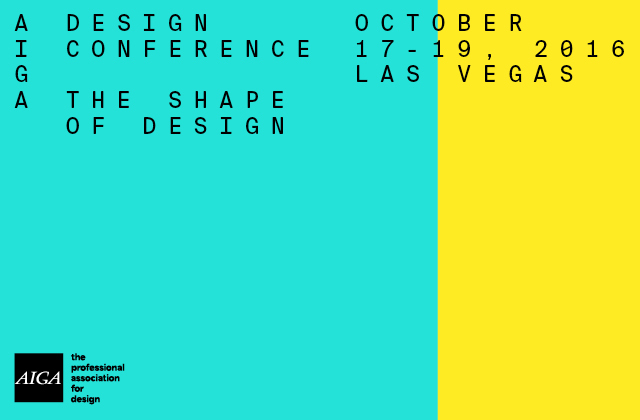 There was also design education programming at the AIGA Design Conference (Las Vegas, October 2016). The format and programming for each event was unique. The Nuts+Bolts conference was framed as a context for educators to demystify academia; clarifying teaching methods, assessment, and relevant project ideas specific to the field of graphic design. What was intended as a pragmatic conference turned into a rich discussion about our identity and values. Is graphic design classified as a discipline, a profession, or a pre-profession? And does it even matter to define ourselves? Furthermore, are we properly preparing students to be researchers and makers in a world that requires cross-cultural literacy? And finally, how are we even able to accomplish it all? The conference keynotes, break-out sessions, and resulting dialogue all worked to address these questions in addition to providing tactical tools for the classroom. * The main stage sessions were videotaped and will be available in the coming months. 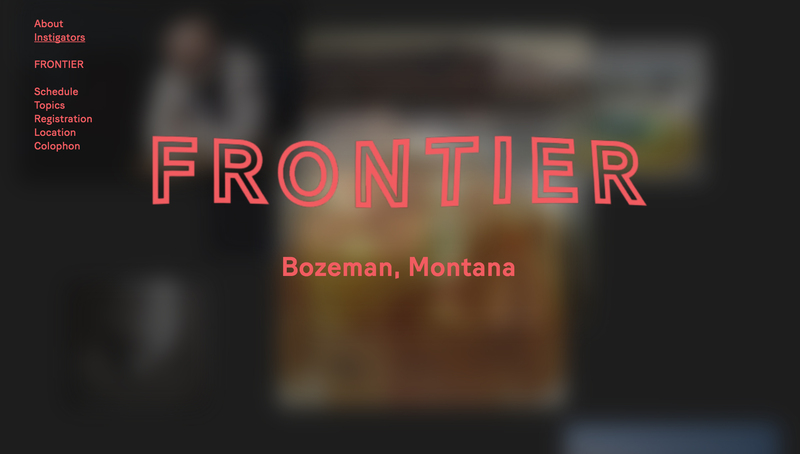 Frontier was an experimental conference that examined alternative models for learning. The structure and content were aimed at exploring the speculative future of graphic design education. While the desire to disrupt convention was not always successful, many break-out sessions and workshops resulted in a rich dialogue about what may be missing from current design pedagogy and research. Many of the projects shared included unique ways of working (collaborative speed dating, the role of play in design education), alternative modes of making (a performative exhibition), and new methodologies for introducing concepts in the classroom (ex: low-fi virtual reality). An intimate event, Frontier allowed educators time and space to connect and share ideas. The programming from Frontier is expected to be released in the form of a stand alone publication. In Las Vegas the education programming for the AIGA Design Conference consisted of ten pechakuchas, with two follow-up workshops. Organized by the DEC, this 20 slide–20 second each format covered such diverse topics as piracy and the business of typography, exploring empathy, form-giving and the design process, visual translations across cultures and people-centered design research. It was standing room only! Because of the fast paced nature of the presentation format, we were able to cover many distinct topics within a relatively short amount of time. The follow-up workshops “Speculative Cities” and “Design Powers” involved brainstorming, self-reflection and many group discussions. You can access PDFs of all the presentations here. While the AIGA Design Conference will always be a much larger event (2000+ attendees) compared to the stand alone conferences like Nuts + Bolts and Frontier, there were still opportunities for educators to connect and share ideas within the discipline. As some of you may be aware, producing a conference takes significant effort, time and manpower. The DEC is grateful to the Nuts + Bolts and Frontier organizers who worked so hard to make their respective conferences a reality. These events are critical to the design education community and we look forward to the 2017 events: Converge (USC, June 1–3) and the education programming for the AIGA Design Conference (Minneapolis, October 12–14). The DEC is currently seeking proposals for a stand-alone design education conference in the spring of 2018. Since the AIGA Design Conference has moved to an annual model, the DEC will only host one distinct education conference per year, in the spring. If you wish to propose an education conference for 2018, please go here for more information. Proposals are due February 10, 2017. And if you have suggestions for how the education community can continue to grow and share information, please comment below. We look forward to another great year of programming! * This Nuts + Bolts text is a preview of a full review that will be published in a forthcoming issue of Communication Design.